One of the major misunderstood & misinterpreted anchor points of the False Dispensation doctrine is the mistaken belief that Father has a separate Plan for the Salvation & Redemption of the Jewish people that will occur at some “future point in time” after the rise of the Antichrist. This is a foundation point as well for the widespread heresy in the mainstream Evangelical churches that is called “Christian” Zionism. 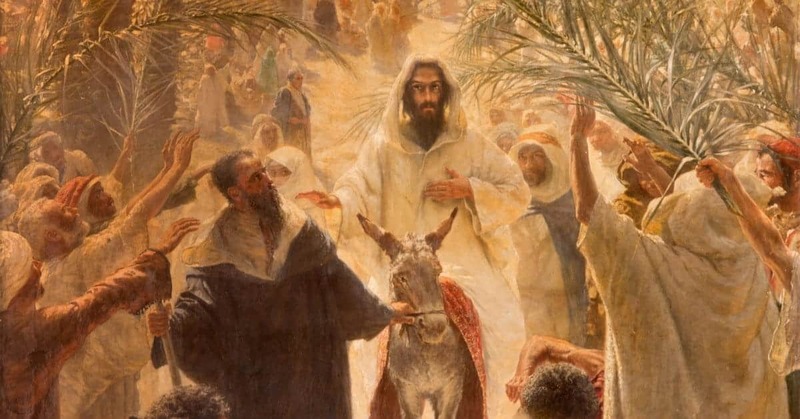 This study will focus on key Scripture often used to defend this False doctrine & will help illustrate how the words of both the prophetic words of the Psalmist & Jesus Christ were in Truth fulfilled at the Triumphal entry of Jesus into Jerusalem just prior to the Passover & His Crucifixion. At several points during Christ’s interactions with the Pharisees & Sanhedrin in Synagogues, at the Temple & elsewhere Jesus quoted verses of Scripture contained within the Old Testament that showed He was the Fulfillment of these prophetic passages, some in response when questioned by them, some while teaching, i will include what is probably the most well recognized example here as the template for this study. In this case He is pointing out a dual prophetic fulfillment, part fulfilled at His 1st Coming, the 2nd half to be fulfilled at His Return. There are multiple such dual Prophesies though they are rarely discussed as what they truly are. These are the things that must be Spiritually discerned through the Holy Spirit that are often twisted & misused to promote False doctrines by those who do not have understanding, teaching from a Carnal, fleshly mind. Our example is Luke 4:14-30, the reading of the first verse & HALF of the 2nd verse of Isaiah 61 in by Jesus in the Synagogue at Nazareth. The rest of this Prophetic Chapter of Isaiah will be fulfilled at His Return. For the sake of brevity i will not include the full Scripture, only the link below, if you are not familiar with this passage & the Prophecy of Isaiah 61 I’d encourage you to read & further study it. The proof text for this study is Psalm 118, the parallel New Testament texts are Luke 13, Matthew 23 & John 12. I’m going to begin at the end in the New Testament because it’s my hope that after reading what Jesus did & THEN reading the Prophecy given in Psalm 118 it will be truly striking & greatly deepen your appreciation & understanding of what Christ was doing when He addressed the Pharisees, telling them BEFOREHAND that they would not see Him again until the fulfillment of the 1st portion of Psalm 118 occured & in doing so also told them exactly what they would do to Him & what was truly occurring when He entered Jerusalem on the colt of a Donkey to the cries of the Jewish people echoing the Prophecy given in Psalm 118. 26 **Then shall ye begin to say, We have eaten and drunk in thy presence, and thou hast taught in our streets. 34 [[**O Jerusalem, Jerusalem, which killest the prophets, and stonest them that are sent unto thee; how often would I have gathered thy children together, as a hen doth gather her brood under her wings, and ye would not! Matthew 23, this is the 7 Woes to the Pharisees Chapter, for the sake of brevity I’ll begin at verse 29 the final woe. 37 [[**O Jerusalem, Jerusalem, thou that killest the prophets, and stonest them which are sent unto thee, how often would I have gathered thy children together, even as a hen gathereth her chickens under her wings, and ye would not! Now we see the Fulfillment of His Coming into Jerusalem & the beginning of the events that would culminate with the eventual utter destruction of the 2nd Temple & Jerusalem itself in 70AD under Titus, 40 years after His Crucifixion & Resurrection & the fulfillment of the martyrdom of the Apostles, beginning with Stephen. I want to pause here & remind each & every one of us, there has only ever been ONE PLAN of Salvation for Mankind, just as ALL were born into Sinful Flesh through the 1st Adam, ALL MUST BE REDEEMED in the Spirit FROM the Flesh through FAITH in Christ Jesus, the 2nd Adam. From the 1st Coming of Christ, His Crucifixion & Resurrection, THERE IS NO LONGER JEW OR GENTILE, we are ALL ONE in Christ Jesus. ALL MANKIND regardless of race, creed or station must come to Father through HIM, reborn into Life through Faith in Jesus Christ & Baptized by the Holy Spirit. He is the only Way. 20 **This gate of the Lord, into which the righteous shall enter.